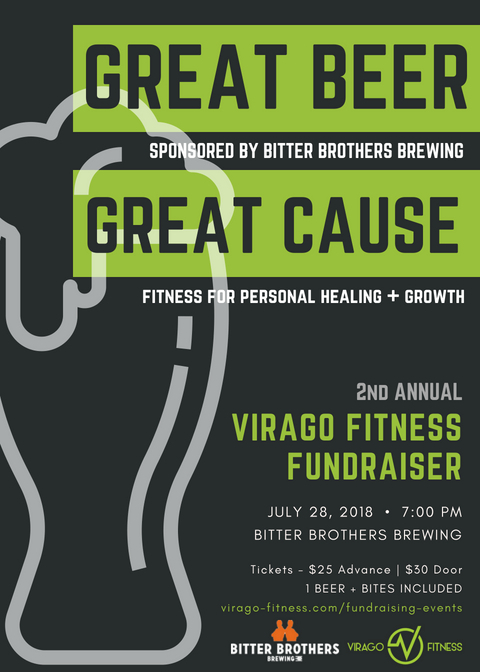 Join us on Saturday July 28th for some great beer and a great cause: Free Fitness Classes for all through the Virago F.I.T Project! Your donation gets you entry, swag, delicious local bites and one free craft beer. Come support Virago's mission that Fitness is Therapy. Together we can bring free fitness to everyone in San Diego!